Hong Kong, officially the Hong Kong Special Administrative Region (HK SAR) of the People’s Republic of China, is a special administrative region in southern China. With over 7.4 million people in a 1,104-square-kilometre territory, Hong Kong is the world’s fourth most densely populated region. The territory, which was originally a sparsely populated farming area with scattered fishing villages, has become one of the world’s most significant financial centres and commercial ports. It is the world’s seventh-largest trading entity, and its currency (the Hong Kong dollar) is the world’s 13th-most traded, while it has one of the highest per capita incomes in the world. The territory also boasts the largest number of skyscrapers in the world and ranks seventh on the UN Human Development Index. Hong Kong also has the sixth-longest life expectancy in the world. Hong Kong became a colony of the British Empire after the Qing Dynasty ceded Hong Kong Island at the end of the First Opium War in 1842. Britain obtained a 99-year lease of the New Territories in 1898 and the entire territory was transferred back to China in 1997. As a ‘special administrative region’, Hong Kong’s system of government is separate from that of mainland China and its people overwhelmingly identify as ‘Hong Kongers’ rather than Chinese. Chinese national law does not generally apply in the territory, and Hong Kong is treated as a separate jurisdiction. Its judicial system is based on common law, continuing the legal tradition established while under British control. The territory’s jurisdictional independence is most apparent in its immigration and taxation policies. The Immigration Department issues passports for permanent residents which differ from those of the mainland. All travellers between Hong Kong and China must pass through border control, regardless of nationality. Chinese citizens resident in mainland China do not have the right of abode in Hong Kong and are subject to immigration control. Public finances are handled separately from the national government, and taxes levied in Hong Kong do not fund the central Chinese authority. Christianity has been practised in Hong Kong since 1841 and is currently the second largest religion (11.8%) after Buddhism and Taoism (nearly 30%). However, the majority of people are non-religious (54%). There are currently about 870,000 Christians in Hong Kong: most are Protestant (around 480,000), with Catholics numbering around 390,000. The strategic position of Hong Kong in relation to China – the most populous country in the world – cannot be overemphasised. According to the Joshua Project, China has 545 people groups, of which 445 (81.7%) are considered ‘unreached’. Of a population of more than 1,4 billion people, 146 million still need to hear the Gospel. In this regard, Hong Kong has always been a ‘gateway’ to China and a springboard for the Gospel and countless missionaries to enter China. Millions of Bibles have been delivered from Hong Kong into China, and maintaining an impartial territory in this region is critical for future endeavours into China. 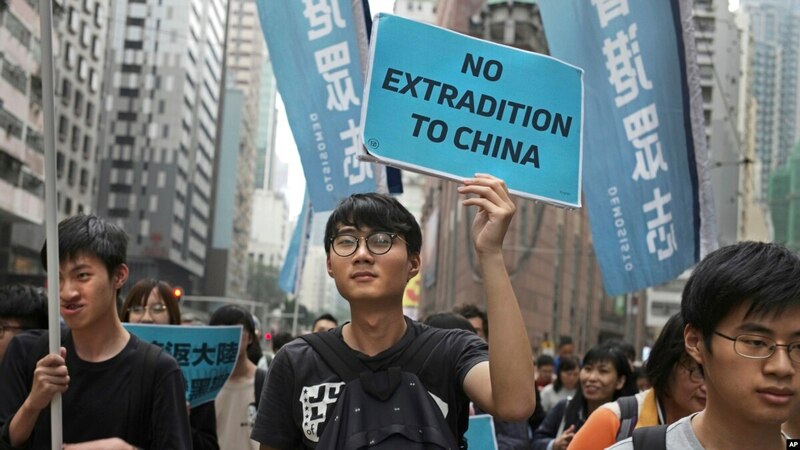 “The proposal by the HK SAR government to include mainland China in Hong Kong’s extradition law has not only sparked heated debate but also saw thousands of protestors taking to streets against this controversial proposal. To most of these protestors, this is just another step by the Hong Kong government working closely, yet subtlety with the Communist central government, to curtail Hong Kong’s freedom. “To me, this is probably a tactical battle fuelling the war over Article 23 legislation as it relates to national security, and the central government would like the Hong Kong government to implement it as soon as possible, especially after the ‘Occupy Central/Yellow Umbrella Movement’ of 2014. The guilty verdict of the nine ‘Occupy Central Movement’ leaders on 9 April is already stirring up more unrest here in Hong Kong. “Interestingly enough, the three key leaders of the Movement are all citing their Christian convictions for their civil disobedience and their fight for freedom and democracy, which I believe has reinforced the central government’s perception of Chinese Christians as collaborating with Western powers in attempting to subvert the national government, and Hong Kong is seen as a base for all these fomenting factions. “While Hong Kong has been a beachhead for Christian missionary work to mainland China for centuries, the central government has finally made it clear through recent religious regulations that it’s illegal for mainland Chinese Christians to attend any ministry conferences and training in Hong Kong. “In this context, if the proposed extradition law in Hong Kong includes mainland China, then the ‘One Country Two Systems’ guaranteed in the Basic Law – Hong Kong’s Constitution – will gradually and eventually change its course to that of the Communist ruling system.